Enter our challenge and you could win this prize package worth over $200 courtesy of CountyComm! 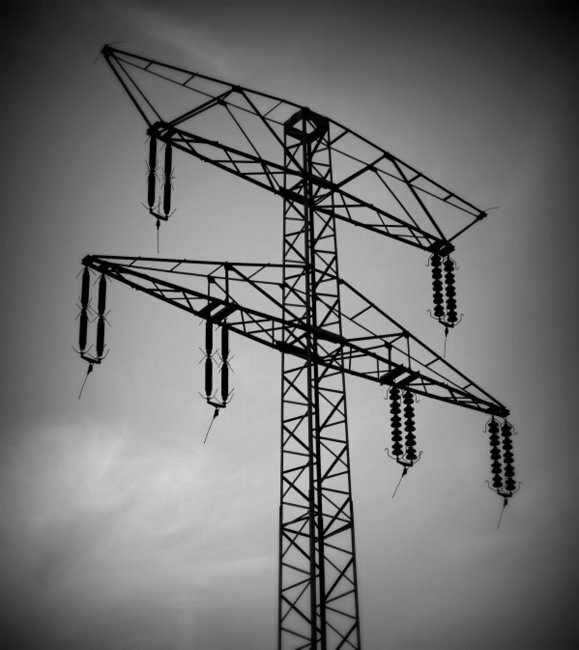 Let’s imagine that your area suddenly loses power–as well as cell phone and internet service–for an indeterminate period. Home and personal electronics remain unaffected, but must be powered off-grid (without mains power). Moreover, you may be required to evacuate your home…perhaps even on foot. In preparation for this event, what portable radio kit would you assemble? Submit your answer to this question and you could win a preparedness prize package courtesy of CountyComm! All entries must be received by November 21, 2015. Click here to read about this challenge and how to submit your answer! This entry was posted in News, Reader Challenges and tagged CountyComm, CountyComm GP5/SSB, David Cripe NM0S, Disaster Communications, disaster preparedness, Natural Disaster Preparedness, NM0S, Preparedness, Preparedness Radios, Prepper Radio, Prepper Radios, Reader Challenges on November 9, 2015 by Thomas. The CountyComm GP5/SSB portable SW/AM/FM radio is just one of many items in this prize package! UPDATE: This challenge is now closed. Click here to read about the winning entries. The SWLing Post attracts readers and enthusiasts from all walks of life. 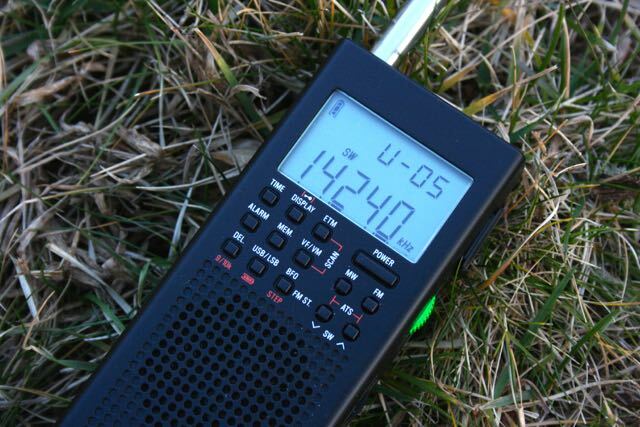 In the past, we’ve put together Reader Challenges based on actual questions we receive from readers, usually looking for the best radio kit for a unique situation or location. Our first challenge sought gear for the most remotely inhabited island on the planet; the second, for a village in the Himalayas; and the third, for an Appalachian Trail thru-hiker. There are many ways to answer this question based upon the scenario a reader is confronting. To help define a scenario for this challenge–perhaps the first in a few similar radio challenges–I enlisted the help of my good friend, David Cripe (NM0S). Dave, an engineer and radio/kit designer, is something of a modern day MacGyver and preparedness expert. Not to mention, a very cool guy. Dave agreed not only to help author an emergency scenario (below), but has also agreed to judge the reader challenge responses. Dave will select his favorite from among the best entries. But there’s more: CountyComm Government Products Group has generously offered a comprehensive prize package for the winning entry! As is often said, stuff happens. Indeed, our modern communication infrastructure is a fragile thing. Let’s imagine that your area suddenly loses power–as well as cell phone and internet service–for an indeterminate period. Home and personal electronics remain unaffected, but must be powered off-grid (without mains power). Moreover, you may be required to evacuate your home…perhaps even on foot. Does the above scenario seem far-fetched? Actually, this is just the sort of scenario we often see occur in regions throughout the world as the result of natural disasters (and occasionally human sabotage), and it’s the scenario we’ll mentally prepare for in this exercise. In preparation for this event, what portable radio kit would you assemble? In particular, you’ll want to look for an optimal combination of features and portability for price, ($400 US for all your kit). And it isn’t just the radio we’re interested in, but also how you intend to use it. obtain information about local and world events? communicate within your local region to assist emergency services? pass messages to friends and family over long distances? power your kit for an indeterminate amount of time? Rather than making this virtual challenge restrictive, the following limitations are designed to make the challenge more fun and create a level playing field for all participants. Once again, you’re limited to a (virtual) budget of $400 US to procure your supplies; ideally, this will include the shipping costs of all purchase(s) you make. You may select new, used, or homebrew gear, but you must base your choices on reality (i.e., actually find item(s) online and document the price and time of availability). If you “shop” eBay, for example, make sure you’re using the final purchase price, not the current or opening bid. If you do locate something used on eBay, QTH.com, QRZ.com, or at Universal Radio, for example, do include the link to the item (just to add to the fun). If you enter a homebrew radio, it should be based on something you’ve either built or used, and must include a photo. 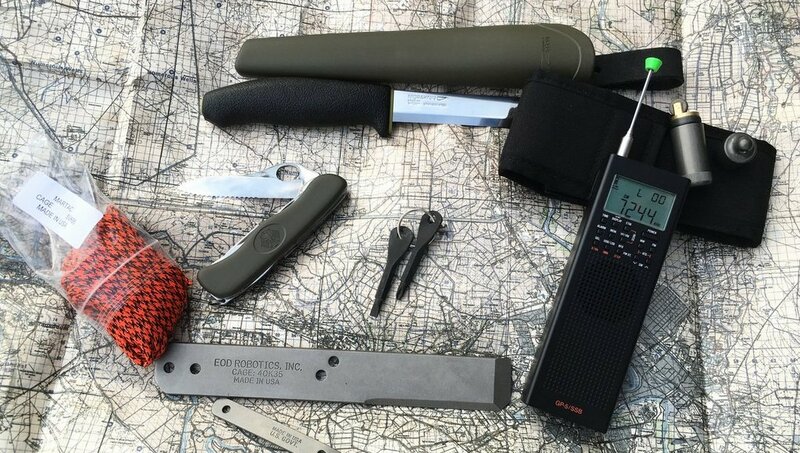 Of course, you can use multiple radios, but keep in mind the amount of space and weight these will consume in your evacuation or “bug-out” bag. The total value of this kit is $209.94 US! This challenge will continue for one month, ending on November 21. To enter, simply describe the kit you’ve chosen and how you would address the scenario above. Please be specific, but also as concise as you can. If you’re describing a radio or gear you already own, consider sending photos, as well. Simply send your entry to SWLingPostContest@gmail.com. If you’re active in a preparedness group locally or online, please help us spread the word in your group! Although there is a serious element to this exercise, in that it might really help you or another reader in an emergency situation, it’s intended to be fun; enjoy the challenge, and good luck! This entry was posted in News, Preparedness, Reader Challenges, Shortwave Radio and tagged CountyComm, CountyComm GP5/SSB, David Cripe NM0S, Disaster Communications, disaster preparedness, Natural Disaster Preparedness, NM0S, Preparedness, Preparedness Radios, Prepper Radio, Prepper Radios, Reader Challenges on October 19, 2015 by Thomas. 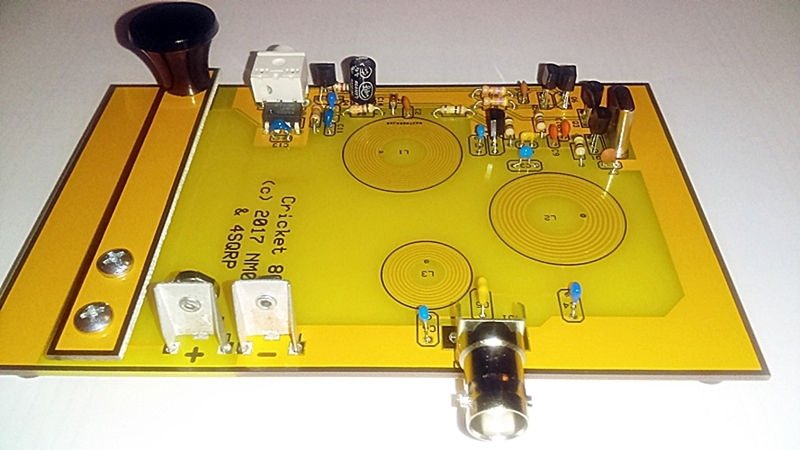 Just learned that David Cripe (NM0S) has a new kit for sale: the Ozark Patrol regenerative receiver kit. The Ozark Patrol is a simple, straightforward kit, designed with beginners in mind. The kit uses through-hole components, which is to say, mounted on pads etched on the opposite side. All of the component values and reference numbers are silk-screened on the board to indicate each part’s location, making for truly quick and fool-proof assembly. What’s more, Dave is a talented kit designer; he’s the brains behind the kit for our successful ETOW HumanaLight (originally conceived by engineer Greg Majewski). He’s not only clever like that, he’s also a great pal. In the past, when Dave has announced new radio kits for sale, he’s sold out within a few days. That’s why I ordered mine the moment I saw the announcement. And, hey…not only does just $40 plus shipping ($46 in the US) get you a superb regen receiver kit, but proceeds also support the Four State QRP Group. Win-win, in my book. Want one, too? 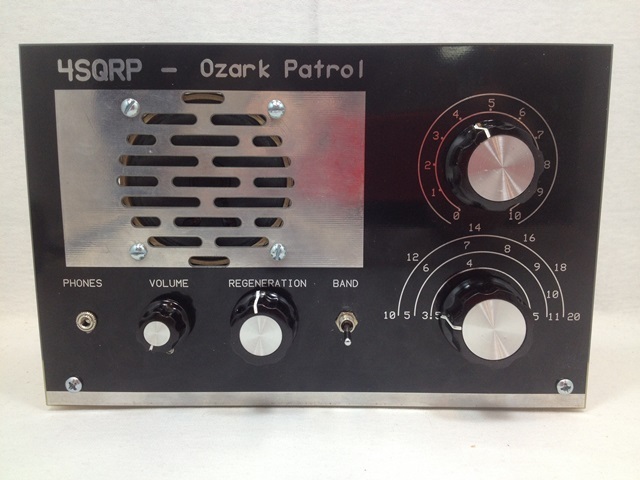 Click here to order your own Ozark Patrol kit…and enjoy tinkering as well as listening! 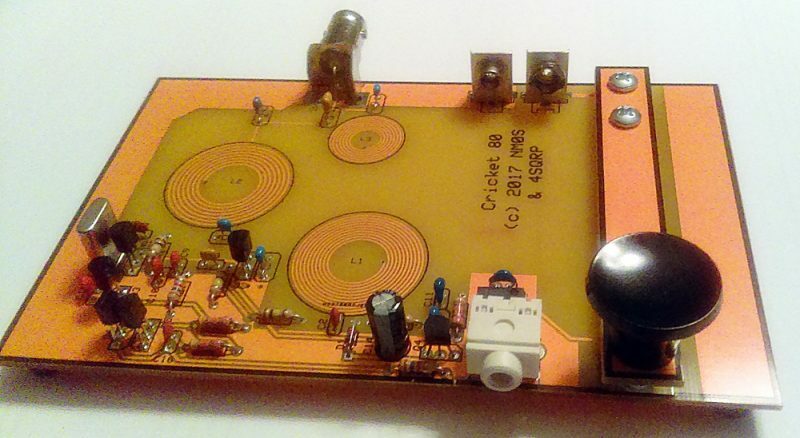 This entry was posted in Kits, New Products, News, Shortwave Radio and tagged David Cripe NM0S, NM0S, Ozark Patrol, Ozark Patrol regenerative receiver kit, Regen Receivers, Regenerative Receivers on September 24, 2014 by Thomas.